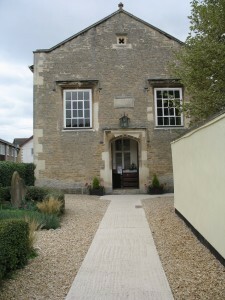 We are a friendly community based church, rooted in the Baptist tradition but inclusive of Christians of all denominations, and welcoming of all who seek to practise their faith.Our Sunday morning service begins at 10.30am and we adopt a blended worship style, using traditional hymns as well as contemporary worship songs. At EBC we attempt to create a space where people of all ages and from all walks of life can come together to worship God, and grow as disciples. We celebrate communion together twice monthly during our Sunday morning service and every Thursday at noon. On the second Sunday of the month, creche aged children are blessed before leaving for their activities in our main hall with Junior Church children joining us for Communion before they also, go to our main hall for their activities. We like to think of ourselves as an ecumenically minded church and we are involved in services with the other churches in the village at various times throughout the year. It is our aim at EBC to serve God and the community around us, and we feel that to do this, it is important for us to work together with others in the community! Our ecumenical work ranges from the flower festival held on Carnival Day, to our annual service in The Square on Good Friday.Community is extremely important to us at EBC, and as such we feel that it is important to be as involved as we can with Eynsham and the surrounding area. We run many events throughout the year, including charity fashion shows, BBQs, an adult nativity (put on for the children! ), carols in the pub, coffee mornings, charity sales and bazaars, and plenty of lunches!But we are also acutely aware of the world in need around us, and so we support several different charities. These include The Gatehouse (an Oxford-based charity providing food, shelter and company to Oxford’s homeless and poorly housed population), Baphumelele Children’s Home (a place of safety for abandoned, abused, neglected or orphaned children, most of whom are either infected with or affected by HIV/Aids in South Africa), Asylum Welcome and social services. We are also in membership with Amnesty International.